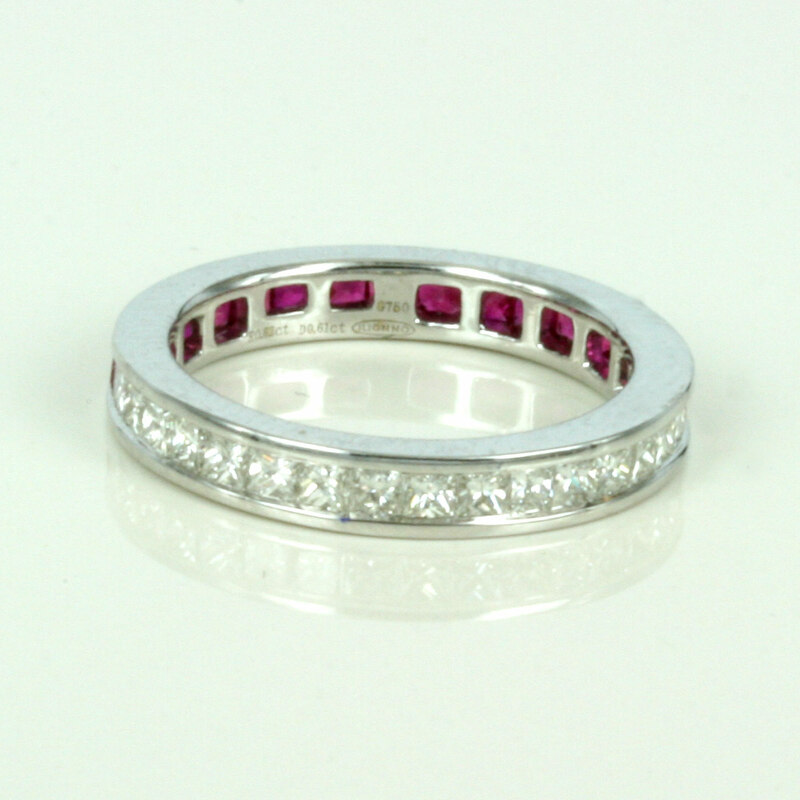 18ct ruby & diamond eternity ring. Product code: 1304 Categories: Sold Items, Sold Rings. This is a very attractive and versatile ring that will always get attention. 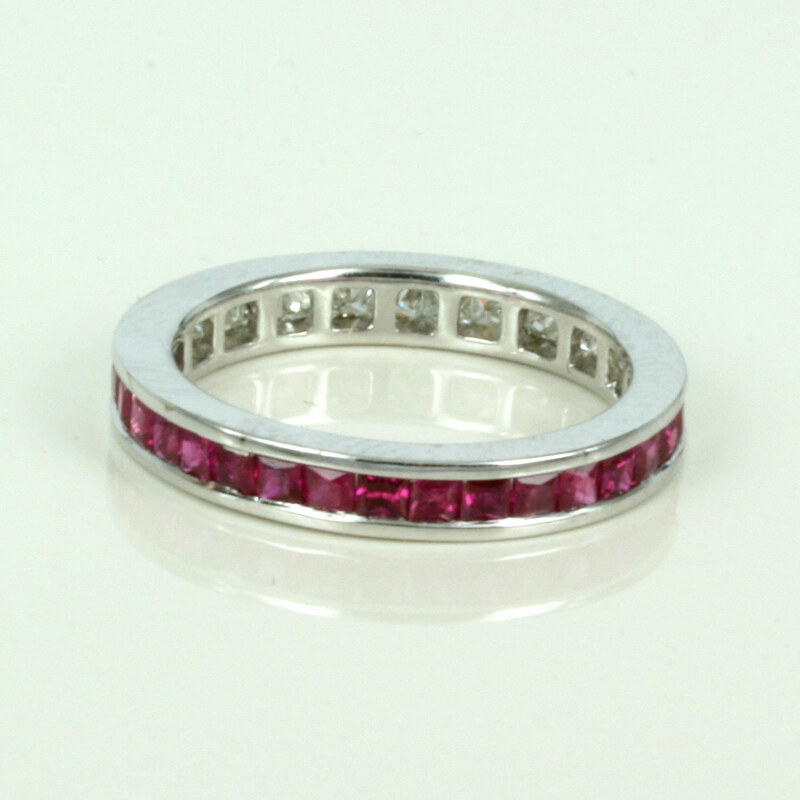 A very beasutiful 18ct white gold eternity ring, with one half in rubies an one half in diamonds. There are a total of 17 rubies and 17 diamonds, and the design allows it to be worn with one of the sides showing or half of each at the same time. Able to be worn on its own, or with another ring, really makes this so versatile. This ring is size “L”, and can be ordered to any size.